Give a wise man a few dollars and he'll probably invest them into something worthwhile; give the money to the Coen brothers, and chances are you'll watch it whirl down the drain. Those peculiar, ironic directors of films like "Fargo" and "Oh Brother, Where Art Thou?" 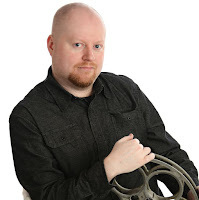 are heavily influenced by quirks and oddities when it comes to moviemaking — some of it too brilliant for words — but when their style is tuned under the influence of a Hollywood-sized budget, the results can be less than satisfying. Consider their last endeavor "The Man Who Wasn't There," a film noir vehicle saturated by the prospect of being shot in gorgeous black and white—once you strip away the uncanny sense of style, the movie itself lacks personality and rhythm. On the other hand, a film with such subtle traces of financial backing as "Fargo" is quite inverted; though technique isn't exactly cutting edge, the amount of thought applied to the screenplay is so grand that nothing else matters. There is no denying that the Coen brothers are satisfactory directors at the core, but do they truly know what it takes to establish consistency? 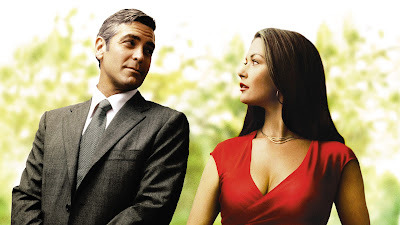 The reality of "Intolerable Cruelty" is anchored somewhere between offbeat character study and dark romance comedy, but that's a side detail here, both for the filmmakers and those on screen. Like the most prominent Doris Day vehicles of the mid-1960s, this is simply an exhibition of actors, whose mere presence on screen creates this mesmerizing aura that keeps the viewers intoxicated even when the material turns sour (that is, if anyone is paying attention to it in the first place). George Clooney stars as Miles Massey, a cutthroat divorce lawyer who, early on in the picture, is helping his latest client fine-tune (or more appropriately, fabricate) damaging details before she takes her estranged husband to court. This practice of manipulation, we gather, is one he has down to a science, inevitably to be repeated shortly thereafter when Rex Rexroth (Edward Herrmann) comes to his firm seeking a divorce from his bitter wife Marilyn (Catherine Zeta-Jones). Miles loves challenges, and the primary goal with this latest case lies not in the fact that he has to win it without a single cent from Rex's fortune getting into Marilyn's hands, but in the fact that he has to keep his apparent infatuation with the woman off of detectable radar. As he so bluntly puts it to her after planting a wet one on her willing lips, "you fascinate me." Where the movie goes with this and what it entails to do so is pretty much irrelevant; this is a chemistry movie that instigates sparks at certain intervals and relishes in the opportunity to allow its characters to have shrewd dialogue exchanges. Unfortunately for the Coen brothers, their material is distracted too often to make any noteworthy impression other than a surface scratch. For starters, the movie's look is too polished for the material; here you have characters deliberately trying to one-up each other with all sorts of shrewd and viscous legal maneuvers, and the picture is actually trying to sell this elegant and innocent backdrop like it belongs there. I'm all for irony and masking dirty little deeds behind pretty pictures, but why is it needed here? "Intolerable Cruelty" isn't about making things look sweet and innocent. It is a bitter and stark endeavor that knows exactly how cutthroat it wants to be. Which brings us to the movie's second biggest crime: the actual comedy. Laced with a dark wit that is more or less observant for shock value, the screenplay is a humor gun without any ammunition; it is mean-spirited, petty, bizarre and downright cold in the way it tries to provoke laughter. There is one scene late in the movie so grizzly that it baffled me to every extent, mostly for the fact that so many others found it funny. Though I won't give away the punchline here, I will reveal this much: it involves a wheezing hitman who is sprayed with enough mace to deter him from telling the difference between an inhaler and a pistol. 'Nuff said. This is not a boring movie. This is not even a bad movie, either. But it is, alas, a severely misguided one, and that's all the more shameful when you consider who was involved in making it, too. Looking back on the Coens' roster of achievements, I find myself instantly referring back to "Fargo," which remains their best effort to this day. There was a movie with an inarguable streak of dark comedy, but there was also something genuine backing it as well, an incentive to provoke thought and hold interest without seeming so synthetic or plastic in the process. "Intolerable Cruelty" doesn't have those qualities. But it does live up to its title by being both cruel and intolerable, although not necessarily in the redeeming ways one might hope for.